Been there, done that, bought the T-Shirt? Now what do you do with them? Have them made into a custom quilt! 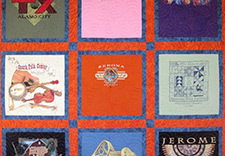 Instead of piling them on the floor in your closet or cramming them into dresser drawers, let a professional, experienced quilter create t-shirt blankets that will keep your special memories with you for the rest of your life. 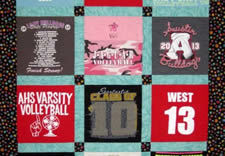 Quilts from t-shirts are an amazing keepsake! Preserve those memories from school sports and activities, travel, sororities, marathons or other special moments throughout your life. T-Shirts will be cut into 15" squares and finish out at 14 1/2". Other sizes are available upon request. 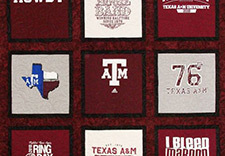 The Sashed T-Shirt Quilt is priced at $18 per T-Shirt square. 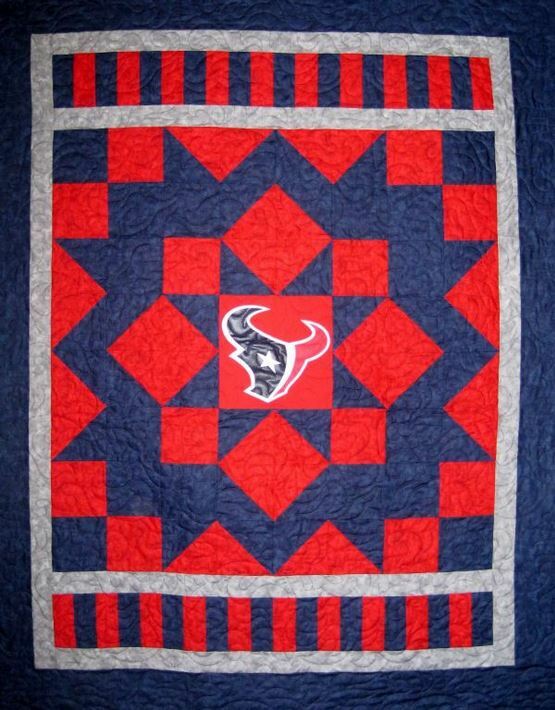 I also offer the Framed Quilt for $22 per T-Shirt square. 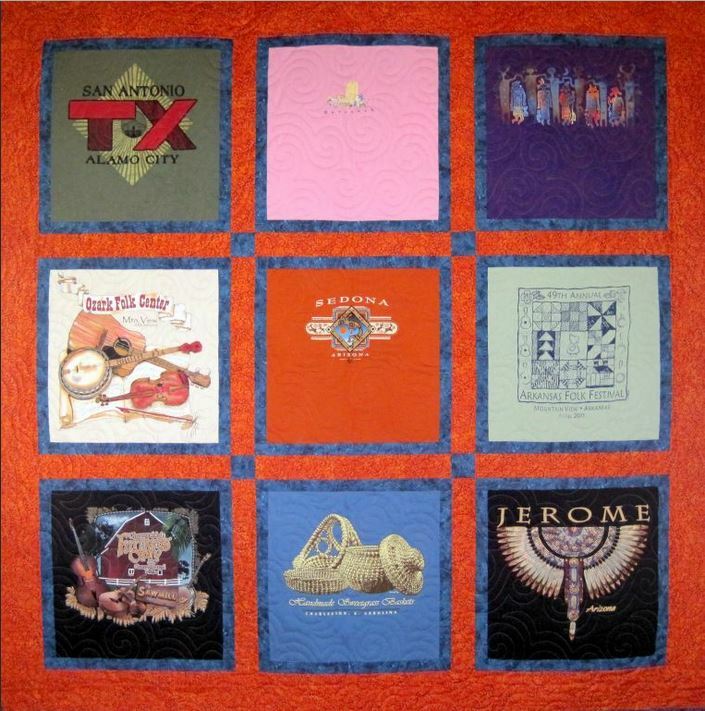 This quilt has a narrow frame of one color around each T-Shirt square and then a different background color. Another option for the Framed T-Shirt Quilt is to use accent cornerstones to match the color of the frames around the T-Shirts. Have a favorite professional or college team? 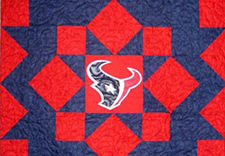 Just send me a T-Shirt from your school or team of choice to use in the center of the quilt and I will use the team colors to complement it. 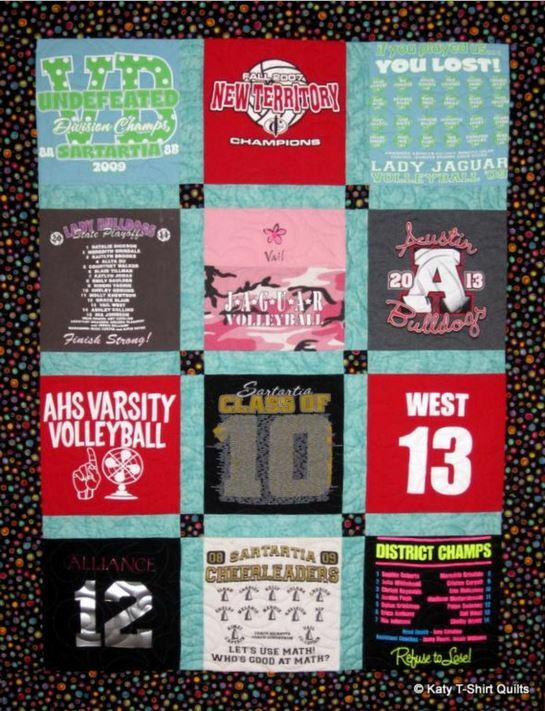 TShirt quilts are a perfect way to preserve memories from school sports and activities, travel, sororities, marathons or other special interests. 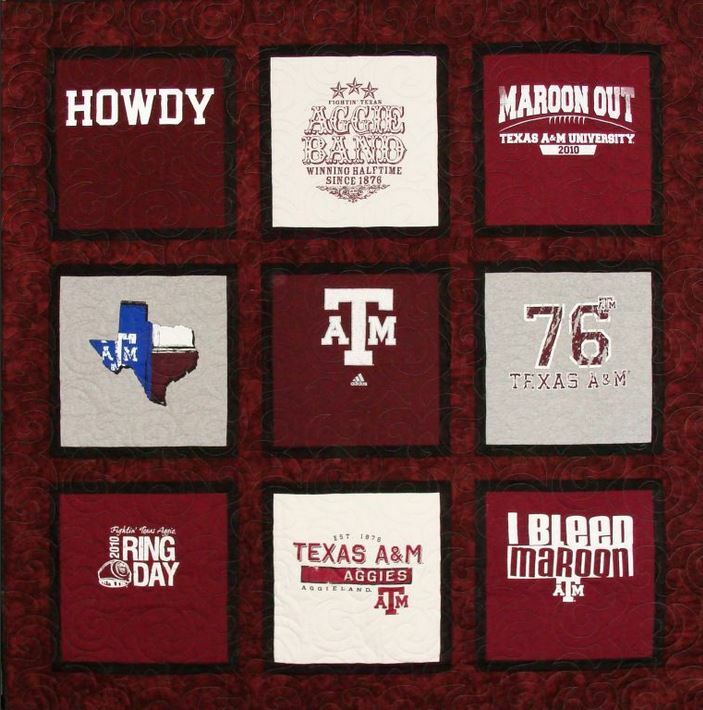 Our tee shirt quilts make great graduation, birthday and Christmas gifts. Your T-Shirts will be stabilized and then pieced using the highest quality 100% cotton fabric, making them sturdier than other t-shirt blankets. Then I machine quilt it on my longarm quilting machine with a dense design that will preserve your quilt for a lifetime.